In lieu of having a new photo ready in time for the Fourth of July, I went back and decided to re-post this photo of Danielle from five years ago. It was August of 2013, after we finished shooting the video “Higher Education”. 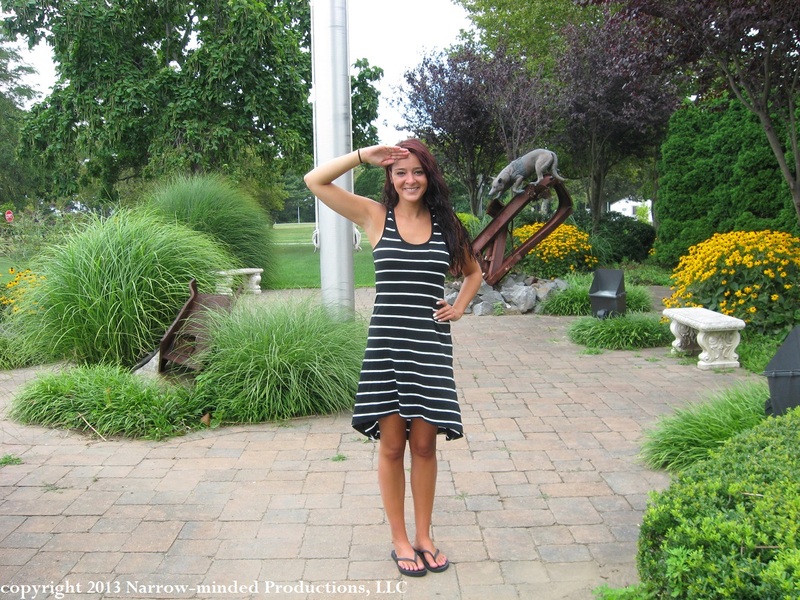 She looks so cute in her summer dress and flip flops, giving a nice patriotic salute in front of a flag pole on a college campus. I would have liked to capture the flag for better context of the scenery, but it was raised very high, and I could only stand so far away while keeping Danielle and her gorgeous smile in frame. This Independence Day, we salute all lovers of life and liberty!